Harry Styles released his first piece of solo music with his self-titled debut album Harry Styles in May 2017. 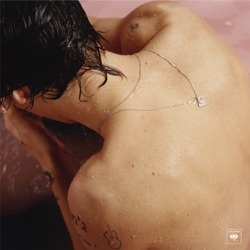 The 10-track album features the platinum single “Sign of the Times,” which won the 2018 BRIT® for British Artist Video of the Year. The album made history in the U.S. with the biggest debut sales week for a U.K. male artist’s first full-length album since Nielsen Music began tracking sales in 1991, topping official charts at #1 in more than 55 countries. Following the album’s release, Styles made his acting debut in Christopher Nolan’s critically acclaimed Oscar® nominated film “Dunkirk” in July 2017. “Dunkirk” topped the US box office in its first weekend and was one of the top grossing films of the summer, rounding off an incredible year for Styles as the first British artist with a #1 debut single, album and film in the same year. Styles is currently on his sold-out headline tour, Harry Styles Live on Tour, which kicked off with intimate venues and has expanded to arenas in 2018.